Interview with Jatinder Kapur Managing Director – N.K. Kapur & Co. Pvt. Ltd.
Q. When did you start your journey in Exhibition Industry. What challenges you encountered on your way to become world class event service provider company & how did you overcome them ? A. N.K Kapur & Co. Pvt. Ltd. was formed in the year 1950 by Mr N.K Kapur as a civil construction company. In the year 1952 it ventured into the exhibition field when the first exhibition was held in India. Since then the legacy has been going on. Over a period of time the company kept growing steadily. So much so that by the year 1972 it reached its zenith and was catering to all international clients. It built 14 large country pavilions and 4 larger international company’s pavilions in ASIA 72 exhibition. With the successful implementation of these projects the company gained in stature and came to be regarded as a reliable and trustworthy partner by all international clients. With the advent of the next generation into the business in 1976 new ideas were born. For the first time in the exhibition industry N.K Kapur & Co. Pvt. Ltd. introduced the Aluminum modular stalls in the year 1983. This was a game changer as till date stalls were only constructed in wood which was very time consuming and expensive. With introduction of modular stalls it benefited everybody, right from the organisers to exhibitors, as now one required very less time for set up and dismantling which saved costs in rentals and other expenses.With this innovation there was no looking back and we scaled new heights both in terms of revenue and reputation. The next leap for the company came in 1994 when we introduced Air Conditioned outdoor hangar structures for exhibitions and events. With this we could now hold exhibitions anywhere in the country, even where there were no halls. with all these innovations N.K Kapur has always been in the forefront and a pioneer in the Indian exhibition industry. The secret of our success has been that we never say no and have a solution for anything and everything that may be required to put up a successful show. We have clients who have trusted us for more than 3 decades and are still working with us till date. Q. What is the role of Structures in Exhibitions & Events ? A. Structures play a very important role in exhibitions and events, especially in smaller towns and cities where there are no permanent facilities available for holding these events. They provide a further outreach even in remote areas to reach out to the masses to promote your products and message thus giving leverage to your business. Earlier this facility was not available and we had to make do with tent structures. With the advent of time new technologies evolved and new structures were developed and introduced into the industry, which further bolstered the spirit of the event organisers to venture out into smaller cities by putting up their exhibitions/ events under these structures. Today India can boast of having international quality structures to cater to the industry. Be it exhibitions, events, political rallies and social functions, they are all opting for the new aluminum structures which are safer than any other structures out there. Q. You won an award in Leading Structure Supplier Category, please comment on your project delivery capacities, capabilities & geography covered ? A. NKK is a pan India player and takes up turnkey contracts all over India for structures complete with other paraphernalia including air conditioning, electricals, exhibition stalls, graphics, flooring, carpeting etc. NKK has the capacity to deliver multiple projects simultaneously upto 50,000 square meter at different locations owning to its large inventory and management team. We provide complete end to end infrastructural support for exhibitions right from the planning stage to designing and execution/ implementation of the project. Q. What differentiates N.K. Kapur from the rest in this era of competition & how do you deliver world class services ? A. NKK is a veteran and pioneer in the exhibition industry with a past experience of 65 years in this field. We keep ourselves updated and abreast of the latest trends in the exhibition industry and try to incorporate them into our projects and work. It was NKK who introduced the syma system stalls to the exhibition industry in India in the year 1983 which changed the way the stalls were built in India and brought us at par to international exhibition standards held elsewhere all over the world. In the year 1994-1995 NKK introduced air-conditioned hangars in India thus once again changing the trend and bringing India at par to international levels. 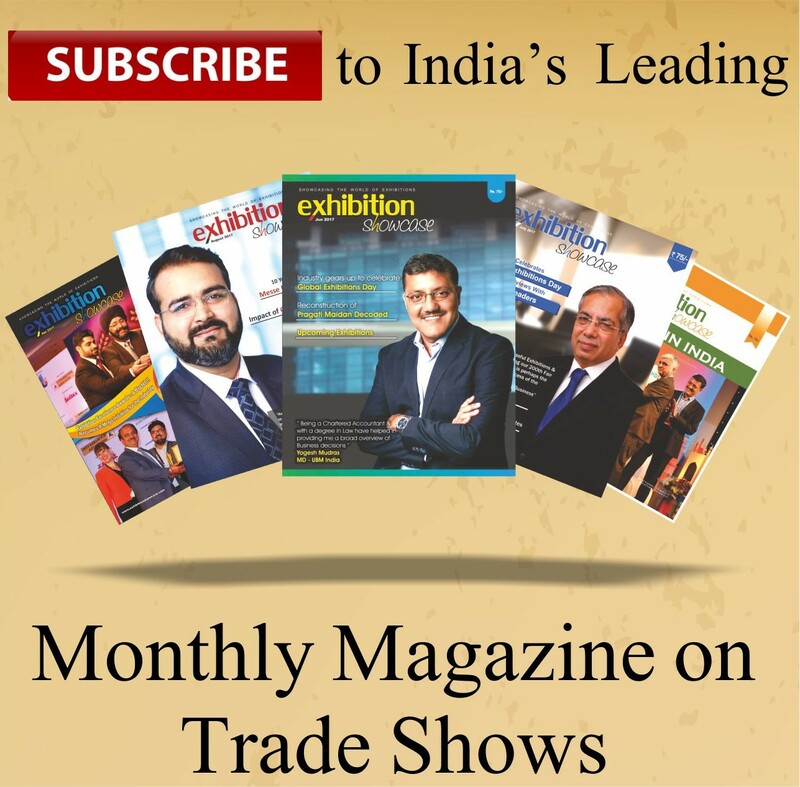 Next articleExclusive Interview with Manish Gandhi, COO & Executive Director – ABEC Exhibitions & Conferences.